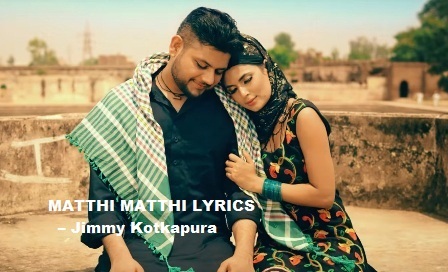 Mathhi Mathhi Lyrics: Jimmy Kotkapura come with a new Heart touching Punjabi Music Video Song 'Mathhi Mathhi', music produced by Desi Crew, while lyrics are penned by singer himself. Video directed by Jass Pessi. Jadon hathan ch fassa ke.